As everyone’s household electricity costs are constantly on the rise, many of you will be looking at ways you can help reduce the amount of energy you use around your home. One of the easiest and cheapest quick fix’s to make your home greener is to convert your traditional lighting solutions to LED alternatives – with up to an 80% saving compared to incandescent lights. Plus, the average life of LED lighting is 50,000 hours, which gives you approximately 50 years of average usage! Often used to illuminate a whole room, ceiling lights are the most used lights around your home, so it’s probably a good place to start when you’re thinking of converting to LED. 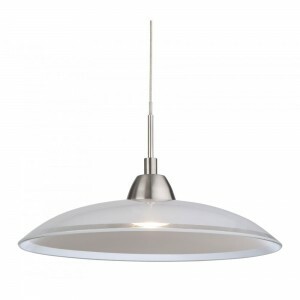 Ceiling lights come in many styles from spotlights, pendant lights, flush and semi flush. 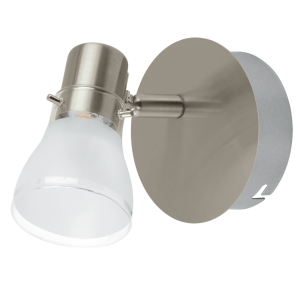 LED wall lights are excellent for highlighting certain parts of a room, such as a worktop in the kitchen or your bedside cabinet in the bedroom. This is where the intense light that is given out by LED bulbs comes in handy. Also, since LED lights have a much lower heat output than traditional lights, you won’t burn yourself if you touch it accidentally. Due to the lower power consumption of LED lighting, it’s became possible to light up the exterior of your home and garden using lights that don’t need to be plugged into a socket – saving you even more money! Solar powered outdoor lighting is becoming extremely popular as once the lights have been appropriately placed in the garden, they can be left to illuminate once the sun goes down – no cables required. 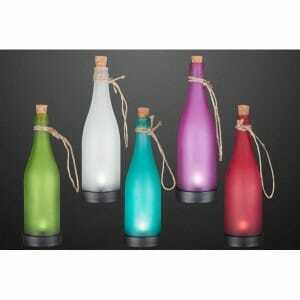 These are great as little decorative lights to provide a bit of interest in your garden during the summer months. The colour of the light output in bulbs is referred to as ‘temperature’ and is measured on the Kelvin scale. When it comes to lighting your home with LED’s, the main question you must ask yourself is what temperature light you would like to replace your traditional lighting – as the colour temperature can have a great effect on the atmosphere of a room. The common three temperatures sold are warm white (2,700K), natural white (3,500K) and cool white (6,500k) and each of them can be used in different settings. Using a warm white LED bulb in a living room can create a relaxing and welcoming atmosphere – perfect for those evenings after a stressful day at work, whereas a cool white LED bulb is best used in kitchens and bathrooms – where it helps the room appear fresh and well illuminated. Without a doubt, LED lighting is going to be seen in more and more homes as we aim to reduce our carbon footprint and save on our electricity usage. The benefits of LED lighting make it the obvious choice going forward.